Word came out earlier this week that marine explorer Barry Clifford has located the shipwreck of the Santa Maria, the vessel Christopher Columbus used as his flagship on his first voyage to the New World in 1492. If Clifford’s claim pans out, this would be the oldest and most historically significant wreck of a European ship in American waters. The circumstances of the wreck were actually well documented by Columbus in his journal. The Santa Maria apparently died a slow death. Battered and leaky after months at sea with little maintenance, the ship broke her moorings and ran aground on a shallow reef outside Cap Hatien off the north coast of Haiti just after Christmas, 1492. 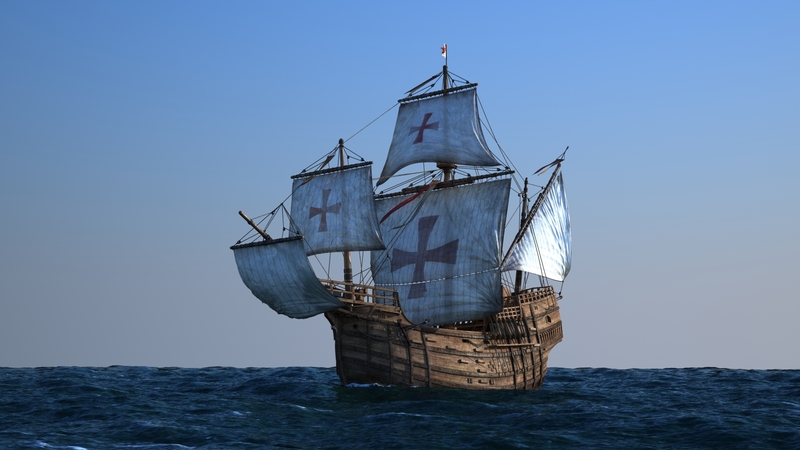 The Santa Maria went down in only 10 feet of water so Columbus ordered the ship to be stripped of her fittings and timbers removed for use on land. All that remains today is the ship’s ballast field and perhaps some fittings that weren’t salvaged. The wreck was apparently identified by the remains of a wooden cannon mount, a type that would have been unique to the Santa Maria. This discovery causes me to think again about Columbus’ place in the pantheon of explorers and navigators. Columbus’ reputation has suffered mightily in the last 50 years or so. He’s gone from a revered European explorer with his own national holiday and dozens of American towns and cities named after him to the despised symbol of all that was bad about European colonization and exploitation of the New World. Revisionist history can be a dangerous practice, and I believe Columbus has been treated badly by those who blame him for everything from smallpox to global warming. Columbus was very much a man of his time – he was no more exploitative, cruel or greedy than any other late-15th century explorer and navigator. One thing we know for sure, if Columbus didn’t set sail for the ‘Indies’ in 1492 another European explorer would have tried it soon after. European merchants were being squeezed out of the extremely lucrative trade with the Far East empires by pirates, local warlords and caliphs who controlled the sea lanes and trading ports between eastern Africa and the Far East. Columbus’ sales pitch to King Ferdinand and Queen Isabella made perfect sense; the world is round (everybody in the 15th century who could read understood that) and the latitudes of the key trading ports in the Far East were well known. All one has to do is sail straight west from Spain along a known latitude and eventually you’ll run smack into the the trading ports in the West Indies. None of that messy sailing around the Horn of Africa business or fighting off pirates or paying off local warlords. It was an enticing argument – sail west, hit the trading ports in the Indies, load up with highly profitable trade goods and sail back east to the home country to unload, sell and enjoy immense profits. I have no doubt that in 1492 other European explorers and traders were thinking the exact same thing. It was simply the next logical step in establishing trade routes in search of new markets. If not Columbus another European with the same outlook and values would have made the voyage, made landfall in the New World and set in motion the exact same chain of events that led us to where we are today. It was a historic inevitability. Let’s stop blaming Columbus. We know very little about Christoper Columbus’ early life, and it appears that’s the way he wanted it. He was born in Genoa in 1451 to a family that engaged in a broad variety of commercial endeavors. He went to sea early in life, starting as a deck hand on the small sailing ships that moved trade goods between the major Mediterranean ports. But Columbus was smart and fairly well educated for his time. He was also a keen observer and a quick study. At one point he got into the map making business, which put him in touch with most of the experienced explorers and navigators of his time. He also participated in longer and longer sea voyages as the Portuguese and other European traders probed further and further south and west into the Atlantic, discovering the scattered island chains like the Azores, the Madeiras and the Canary Islands. 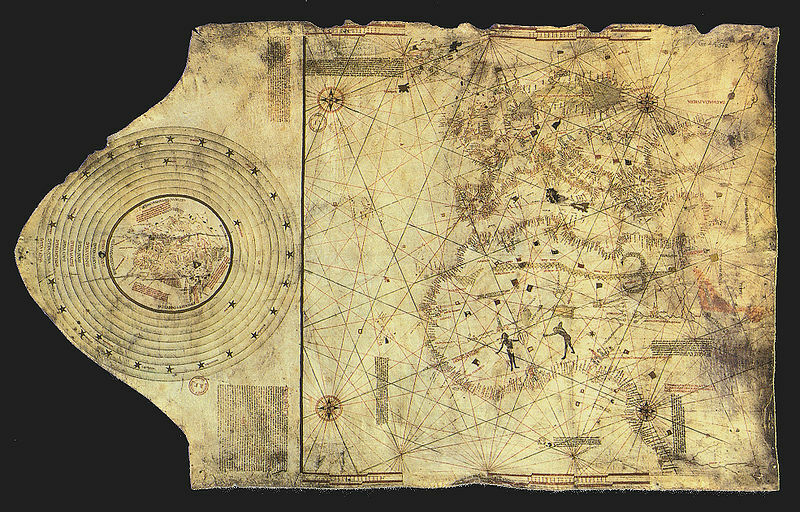 Along the way Columbus became an expert navigator. Perhaps just as important, his extended sea voyages west into the Atlantic convinced him that existing sailing and navigation technology could make long ocean voyages westward to the Indies not just possible, but practical. Unlike so many sailors of his day Columbus was not afraid to sail well out of sight of land. He was a confident and competent navigator, one of the best of his time. Columbus was also a businessman and a bit of a hustler. He knew he needed financial backing for his plan and he spent years peddling his idea around the courts of Europe. Monarchs of his day weren’t dumb. Those that had any interest in his scheme turned the proposal over to the more learned men of their court for review and recommendation. In virtually every case Columbus was turned down not because his idea was bad (many court scholars agreed the general idea had merit), but because Columbus badly under estimated the circumference of the earth. In his proposals Columbus stated the circumference of the earth was several thousand miles smaller than it actually is. The problem for Columbus was that in the 15th century the general circumference of the earth was well know. In fact, it was first accurately measured by the Greek mathematician Eratosthenes about 190 B.C. All the smart guys in Europe knew this. Everyone except Columbus, it seems. Or was his ignorance really a marketing ploy? Columbus knew he had to sell his idea as a practical, repeatable way to make money. By understating the sailing distance from European ports to the West Indies he was implying reduced risk, lower operating costs and greater profits. Like the monarchs Columbus pitched his idea to, he wasn’t dumb. I’m betting he clearly understood just how big the Earth is. My guess is that based on his experience sailing to the island chains off the west coast of Europe and Africa he was expecting to find mid-ocean islands he could use to rest and refit as necessary. But this is just my speculation. We’ll probably never know Columbus’ true thoughts or motivations. Of course we all know that Columbus eventually found his patrons, got his ships and crews, sailed west and inevitably bumped into the ‘Indies’. The rest, as they say, is history – our history. Christoper Columbus deserves better press than he gets today. The European discovery and settlement of the New World was inevitable. If not Columbus then someone else very soon after 1492. So let’s celebrate Columbus the explorer, map maker and master navigator. This entry was posted in History, map makers, Navigation and tagged columbus, exploration, map making, santa maria, shipwreck by Brian Haren. Bookmark the permalink. How about my 27th great grandfather, the Welsh Prince Madoc AKA Madog. He left Wales in the 12th century and sailed west. His first extended stop was in Mobile Bay. Then he sailed up the Mississippi abandoned ship and took to canoes and paddled into Mandan territory, where the light skinned Indians were known to have spoken Mandan with a mixture of Welsh. It is now primarily only a rumor because the adoption of Post-Columbian history wiped out all traces of Pre-Columbian history. Other pre-Columbian explorers supposedly came via the Saint Lawrence River into the same area. Then there’s the Knights Templars who were looking for a place to hide their treasurers from the Crusades. Much of this and others are documented in the book “1491” which attempts to restore all Pre-Columbian history. Also, not many miles north of Hispanola lies the second deepest trench on Earth. I’m sure you’re familiar with all that but I have to refresh my memory every once in while. How does the claim that Leif Erikkson was the first European to discover North Anerica, predating Columbus by some 500 years, fit into the discussion? Bill, the Norsemen came, left (or died out), and never came back. What makes Columbus significant is that he was the herald of permanent colonization on two continents and the opening of the Pacific basin to exploration.